Innovation in technology is on the hike these days, and it is looking good for the general public. People make great use of electronic products for a more convenient living. Life is more comfortable and much more relaxed nowadays than it was a few years ago. Another great invention in the security system for homes is the Ring Doorbell. If you don’t have any information on this particular invention, that became popular among the public quickly, then read on to find about everything you need to know about Ring Doorbell in this Ring Doorbell review. We’ve tested the product and have documented everything we’ve experienced on this latest kind of a doorbell. If you’re currently shopping for a smart doorbell, then this high-tech, multi-functional doorbell is the best option you have out there. This doorbell would tell you who’s on the door whenever a guest rings the bell or even when no one rings it. This doorbell also acts like a security camera for the security and safety of your home. Surely, the safety of our house is our top priority, and we like to take many steps to make our homes the safest places on Earth. This new technology, smart doorbell has proven to elevate your house’s security system and bring piece-of-mind to you. So, to learn more about this great catch, keep reading this Ring Doorbell review and read it until the end so that you won’t miss any detail on what it is and how to use it. 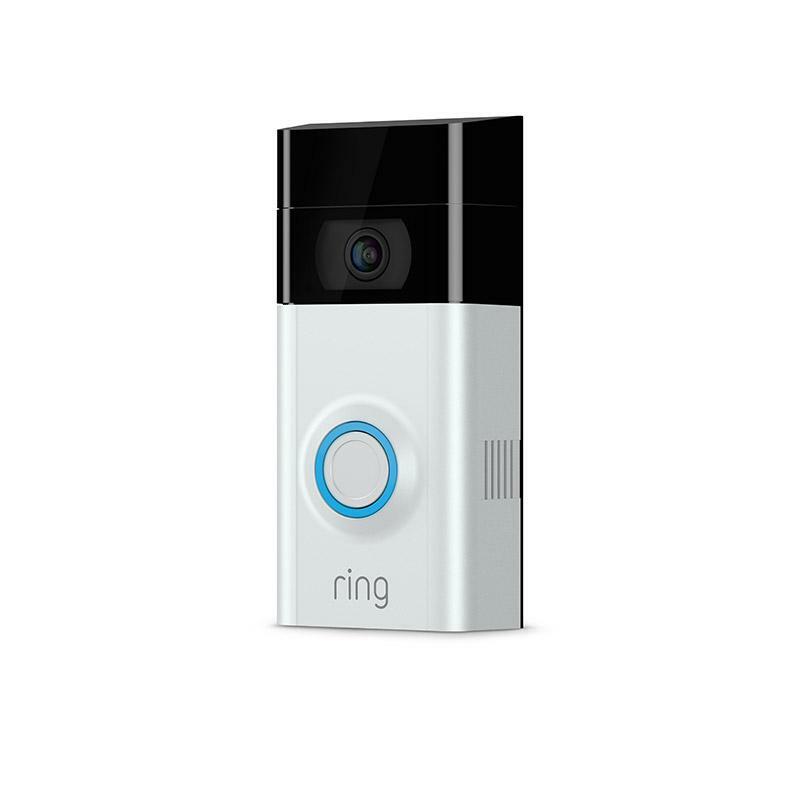 The Ring company founder Jamie Siminoff invented the Ring video Doorbell. He founded it in 2012, and then many investors and a crowdfund helped the company put the product on the market. Then, the Ring Doorbell was called the Doorbot. The company Ring has also released other versions of Ring Doorbell after its release and many more other security products that are great for your home’s safety. However, in 2018, Ring was acquired by Amazon and is still a part and running under the company. This is the original Ring Doorbell, and it is well-rounded. It has all the security options a normal house needs in the most affordable price. Cost is $99.99. It provides 720p resolution of the camera lens and 180-degree view of the field in front of it. 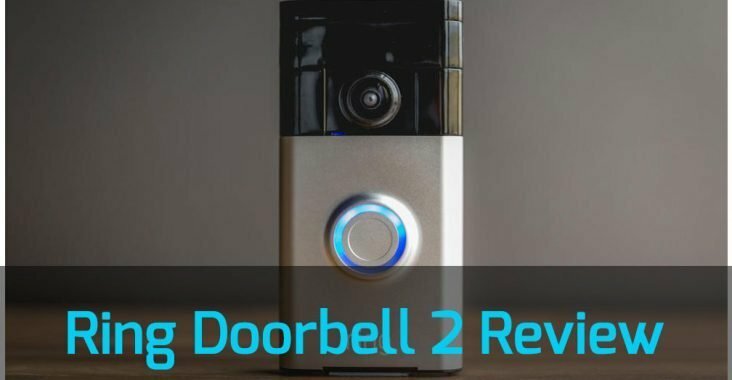 This is the 2nd version of the original Ring Doorbell, and most people currently use this model as it is sleeker than the original Ring Doorbell and has a lens resolution of 1080p. It can be bought for $199. It comes with a quick release battery. This version is preferred by many as it has advanced security functions. It provides 1080p resolution camera. This model is ultra slim and unnoticeable. You can create your zone shapes to be monitored by it. It is hardwired into the system of your house. It provides WI-FI connectivity of 2.4GHz to 5GHz. It costs $249. This product is the latest and the by far with the most features than the other models. It is a professional grade doorbell used mostly by building owners or big house owners. It has a flush-mounted installation. It comes with PoE, which is Power over Ethernet, which is preferred by many customers out there. Its cost is $499, and it also includes all the features of the previous models as well. The Ring Doorbell is called the smart doorbell as it has many advanced functions and operations of today. The Ring Doorbell and its other types are made up of sensor systems, high definition camera, 2-way audio system, and WI-FI. The Ring Doorbell also has an app that you can install and use on any electronic devices that you have, to get notifications from the Ring doorbell whenever someone arrives at your place and rings the bell. You also get one month of Cloud storage space of videos of your Ring Doorbell’s footage. Many other companies have also manufactured and provided doorbells like this before, but the Ring Doorbell has more features than those and is easy to install and use by everyone. Although, every product has its advantages and disadvantages and some of the drawbacks of this product are, that it can get stolen easily and it’s not waterproof but can go through a bit of rain. The other higher types of Ring Doorbell are Ring Doorbell 2, Ring Doorbell Pro and Ring Doorbell Elite, each with better features than the latter. Ring Doorbell is priced at $99, whereas the Ring Doorbell 2 is for $199. The Digital Trends website has said on their review of Ring Doorbell that it is a great addition to your home’s smart security and an excellent way to keep the porch thieves away from your porch. The package holding the Ring Doorbell comes with an installation guide and other unexpectedly useful materials that assist in installing the doorbell by yourself. A mounting plate is present for mounting the Ring Doorbell on it. There’s a USB cable for charging the doorbell when it arrives. Components like a drill bit and a double-ended screwdriver are there to help you install the mounting plate on the wall. There’s some more hardware like, screws and anchors and a mini level to put the mounting plate up the wall. Ring Doorbell’s design is compact, and everything is covered in plastic. It is five inches in length and 2.5 inches in width. With that much width, you’d have probably figured out that it’s pretty thick. At the top of its face is the camera lens that provides a video facility through the Ring’s app. Under the camera is the doorbell button for ringing the bell. The picture and sound can be seen and heard of whoever’s at the door when you unlock the screen. The camera takes a bit time to open then the chime to ring, and you can open the door if you know who you were expecting, but it’s always safe to check who’s there and then open the door. Charging the Ring Doorbell is done by the USB cord when plugged in, at the back of the doorbell and the charge remains for a year or so. If you want a separate chime system that you can install inside your house, then you can buy that along with your Ring Doorbell case. Color options for the Ring Doorbells are many, and they also go with the color of your house. The color schemes include Antique Brass, Satin Nickel, Venetian Bronze and many more. The installation process of the Ring Doorbell is DIY for the first three types but needs an expert for installation for the Ring Doorbell Elite. It is easy, and you can do it by yourself if you’re putting it up wirelessly, but if you want to attach it to the electrical wires of your house or replace it with the previous doorbell, you might need some professional help. After getting your package, all you need to do is follow the installation instructions provided in the package and install the Ring app and sign up on it to get further assistance on installing the doorbell. Apparently, you’d have to attach the wires of the main circuit of your house to the doorbell mounted on the mounting plate, and you wouldn’t need to charge it manually. It is recommended to get it wired into your house’s wiring so that you wouldn’t need to unscrew it and put the system out and charge it and screw it back in again. The sensor system installed inside the Ring Doorbell is a good quality sensor, it detects the motion of anyone who approaches or enters your door. It then sends you a notification immediately on your mobile or any other devices that you have connected with the Ring Doorbell through the app. It detects any motion from any side of the doorstep. The motion sensor is adjustable, and it can be adjusted to ignore to detect anything as high as your pets. The detection system can also be adjusted to how far you want to detect motion in front of your door, and you can choose to ignore the notifications of the traffic in front of your house. The sensor system is a plus point in the Ring doorbell as it can save you from any intruders as you’d know if anyone enters, through the app and you can call for help quickly. Although, with other Ring Doorbells like, Ring Doorbell Pro and Ring Doorbell Elite you can see your front area divided into different sections and they are named as different zones so that you can choose which zone you want the motion detector to detect and which you want to leave out. You can also configure to for the motion detector to begin recording the video when motion is detected. Camera system set inside the Ring Doorbell has a lens with the video quality of 720p. It provides a 180-degree view of the field in the front. Once you have installed the Ring Doorbell you have access to the entire front door on your mobile phone and you can check who’s at your door where ever you are. The camera provides a full view with its fish-eye like a lens, and it also provides details of the person standing close to it. Other three types of Ring Doorbell, Ring Doorbell 2, Ring Doorbell Pro and Ring Doorbell Elite come with 1080p resolution, so if you want a better quality of video of the outside of your house, then you can choose from one these types with higher prices. The camera is enhanced with a night vision option which deserves an additional point as it records during complete darkness and captures anyone standing in front of your porch. One feature of the Ring Doorbell that is considered to be the best is the ability to speak with the person outside the door or to be able to listen to them. You can interact with anyone outside of your door. Even when you’re outside, and some unexpected guests appear at your front door, you would know, and you can talk to them and ask them to wait until you reach the house. You can also use it to speak to the delivery man or the postman to leave your delivery outside if you’re busy doing some chores. WI-fI of 2.4 GHz is installed inside of the Ring Doorbell. The Wi-Fi system lets you connect with the app swiftly. However, if you have a slow internet in your house or have many people using it at the same time, it can hinder you from watching and listening to who’s at the door because of slow connection to the app. So, either you should get a faster connection for your home, or you could install the Ring Chime Pro so that you could hear the chime when someone rings the doorbell if your phone’s connection is slow at responding. Your internet speed should be at least 1Mbps for the Ring Doorbell and the app to perform quickly. The Ring app interface connected to the Ring Doorbell is a whole package as it gives you access to the audio and video on demand of your front porch. Moreover, this app is entirely free. You don’t have to pay for viewing at the front of your door through the camera or for talking to someone present on the porch; you spend one time at the time of purchase of the Ring Doorbell and you are set. The app not only lets you access the audio and video functions, but it has many other features as well. You are notified if someone is moving near or approaching your front door. It lets you select the area to be activated for the motion detector to notify you through push notifications. You can protect your own house with the help of the Ring Doorbell, and Ring App combined, they work as a security system for your home. Ring Doorbell is taking over as there aren’t many others who provide an app and that too for free. You can also connect with other people in your neighborhood who own Ring Doorbells and be notified if there has been an accident such as thievery or break-in and be on alert. Ring Doorbell system also provides one-month storage space in cloud storage for free for all the videos captured by the doorbell camera. The videos are helpful as they record everything that you sometimes miss and you can always play them back to see what you’ve missed or want to find out where the package placed at the front of your porch went when you were out of the house. There are two protect plans provided by the Ring company that you can benefit from. There is the Protect Basic plan that is recommended for everyone who uses the Ring Doorbell. In the Protect Basic plan, you can save the Ring’s camera’s videos to watch them later on your Cloud storage. You can also share your videos using this plan. You have to pay $3 every month or $30 each year to stay a part of this plan, which very cheap if you compare it with other companies’ options. The other one is the Protect Plus plan. This plan has all the features in it for the full security of your house. You get a 10% discount on all the Ring devices including the security cameras and other security gears, and you also get unlimited cameras if you subscribe to this plan. The Protect Plus plan offers a lifetime warranty as well, and it connects you with the Ring base station if there is an issue detected inside your house like, a break-in or anything like that. The cost of subscribing for this plan is just $10 per month. This plan also has the features of the Protect Basic plan included in it. Not only homeowners but building owners or schools can even profit from this Protect plan and have a full security system for everyone’s protection. If you decide to subscribe to one of these Protect plans, it is best that you pay annually as you get a discount that way. The Ring Doorbell comes with a one-year warranty, and if your Ring Doorbell gets stolen, then you can get a new one, free of cost, by calling their customer service number on their website. Like the Ring Doorbell, there are many other smart devices in the market, like the Vivint Doorbell. Vivint Doorbell is also a decent doorbell with all many features like the Ring, but unlike Ring’s free video recording 24/7, Vivint doorbell requires a monitoring package to get it working. SkyBell video Doorbell is also a great doorbell and comes with its advantages but unlike Ring Doorbell it has to be professionally hardwired into your home’s system, and that would take more installation time. VTech IS741 Doorbell Camera is like Ring Doorbell, but it has no option for recording and storing your videos, and you can just watch live. Another disadvantage of this product is that it needs a separate phone to operate. So here you have it, your reasons to choose Ring Doorbell among the others. The Ring also invented a line of other security products after the success of its Ring Doorbell. These security cameras have similar functions to the Ring Doorbell, without the chime. The spotlight cam comes in three types, battery-powered, wired and solar-powered. It has LED spotlights, and a siren is regulated whenever motion is sensed. Another one is Floodlight Cam. The Floodlight Cam is hardwired, and it has Ultra-bright LED floodlights and a siren that goes off when it detects an intruder. There is Stick Up Cam that comes in solar, battery and wired options. It can be used indoors and outdoors as well. There are Alarm Security kits also available at Ring with 5-10 pieces per set. They provide security packages for bigger homes to install all around the house for maximum protection. Also, there are a series of other alarms and sensors for emergency purposes available at Ring which you can browse from their website and also see their offers while you’re there. At Ring.com you can browse and find a vast variety of security products from Ring Doorbells to security cameras and accessories for products. Along with that, you can also find information about the warranty of the product and help on how to use the products. The link to the Ring App is also given on the website. If you have purchased a Ring product and have some questions related to the product or want to get some help, you can contact the customer service through the website. You can browse and order home security products from the site. Discounts and offers are always updated, so before buying a Ring product always check for special discounts on them. If you’re looking to purchase a Ring Doorbell for your house, you can compare different types of Ring Doorbells to see which features best suit your needs. You can also compare other products. There are many accessories available on the site that enhance the Ring products’ performance if you buy them with the products. So, in conclusion, it’s all up to you if you want to buy the Ring Doorbell for your home if it suits you, but you’ve got all the information you’ll ever need for purchasing a Ring Doorbell in this Ring Doorbell review. We would suggest that it’s a good security solution for your home and not just a doorbell, so it’s a must have for anyone. Amazon says that The Ring’s mission is to reduce the rate of crime in your neighborhoods by providing you with a security system that you can monitor by yourself, and who else would protect your house other than you. This particular item can protect you and your family from many accidents and make your home the safest place to live in, as you thought that it was. We believe that making this product was a great idea and apparently, it is proved so, as when they were installed in some homes in California, the crimes decreased up to 55%.